In July 1975, five men did something previously unthinkable. Three American astronauts and two Soviet cosmonauts proved that two nations could work together in space. Following the docking of the Apollo and Soyuz spacecrafts, on July 17, the world watched as Tom Stafford and Alexei Leonov, representing countries that had frantically raced each other to space, shook hands over Europe through the open hatch of the Soyuz spacecraft. 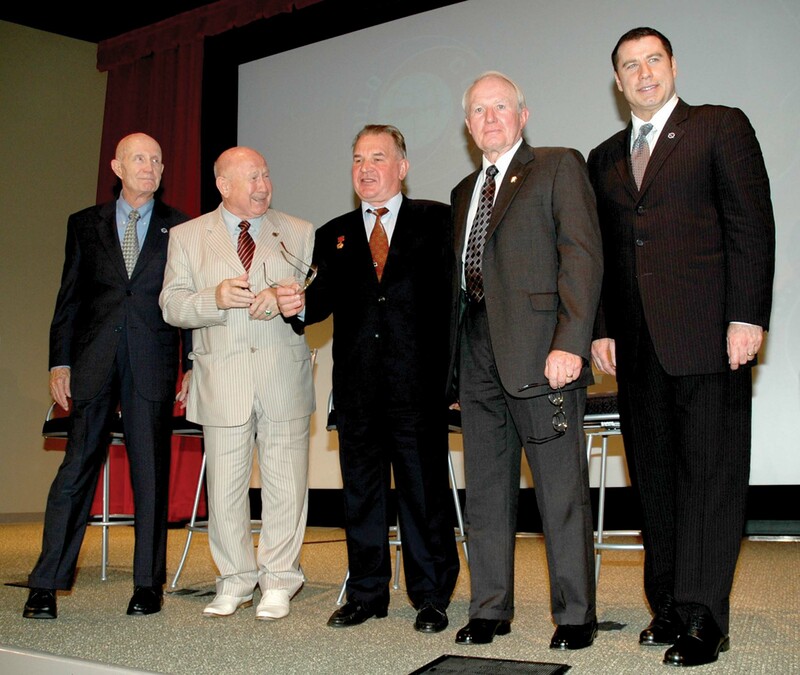 Thirty years later, four members of the Apollo-Soyuz Test Project reunited to celebrate and reminisce about the mission they conducted—the first major cooperative effort between the United States and the Soviet Union. The men were General Tom Stafford, Apollo commander; Vance Brand, Apollo command module pilot; Maj. Gen. Alexei Leonov, Soyuz 19 commander and the first man to walk in space; and Valery Kubasov, Soyuz 19 engineer. 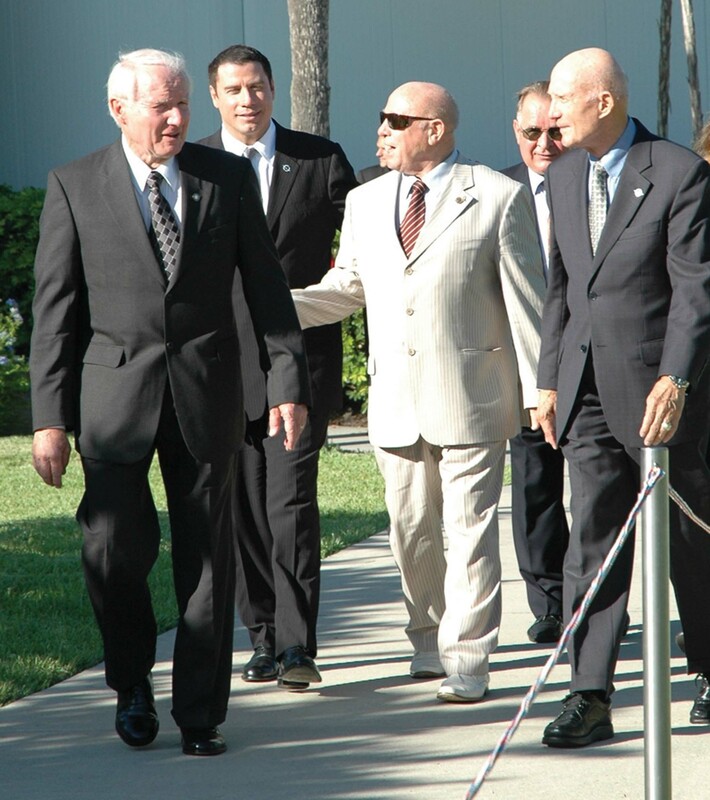 They were at Kennedy Space Center to celebrate the anniversary of the Apollo Soyuz Test Project by participating in a gala that evening that would benefit the Astronaut Scholarship Foundation. On July 15, at an afternoon press conference at the KSC Visitors Complex to kick off anniversary events, one astronaut was noticeably missing: Donald “Deke” Slayton, the third American crewmember, who served as the Apollo docking module pilot, died of cancer in 1993. However, a passionate pilot stepped in that Friday afternoon to fill the fifth panel seat on a stage at Universe Theater. “It was great,” joked John Travolta, with a big grin, drawing laughs from the panel and audience. Or maybe it wasn’t so much a joke; maybe it was a fantasy. Or maybe the pilot and fan of the space program has just been around Stafford and other astronauts so much, and heard so many stories, that he remembers it as though he were there. John Travolta, who hosted the anniversary gala that evening, developed two loves at a very early age: acting and flying. 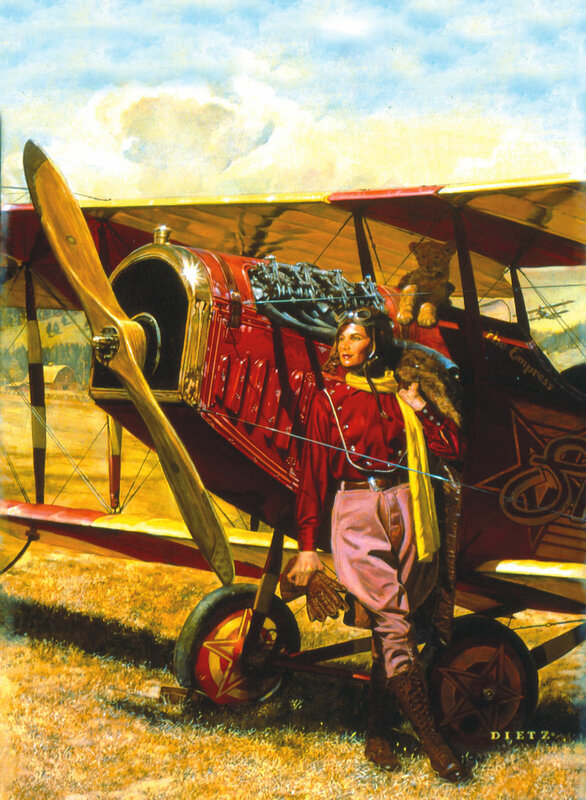 Both passions can be traced back to his mother and sisters, who were stage performers. As he regularly saw them off to different locations, Travolta got used to the airport environment. He was soon reading aviation books, and took a special interest in Constellations, DC-6s and DC-7s. In the early 1970s, Travolta had small roles in various TV series. Once he had paychecks coming in, he knew just what he wanted to do with them; every cent of those first checks went to flying lessons. By 1975, Travolta didn’t have to worry about not being able to afford those lessons. He came to national prominence in the TV sitcom, “Welcome Back, Kotter,” as Vinnie Barbarino. “Saturday Night Fever,” released in 1977, quickly launched him as a star. 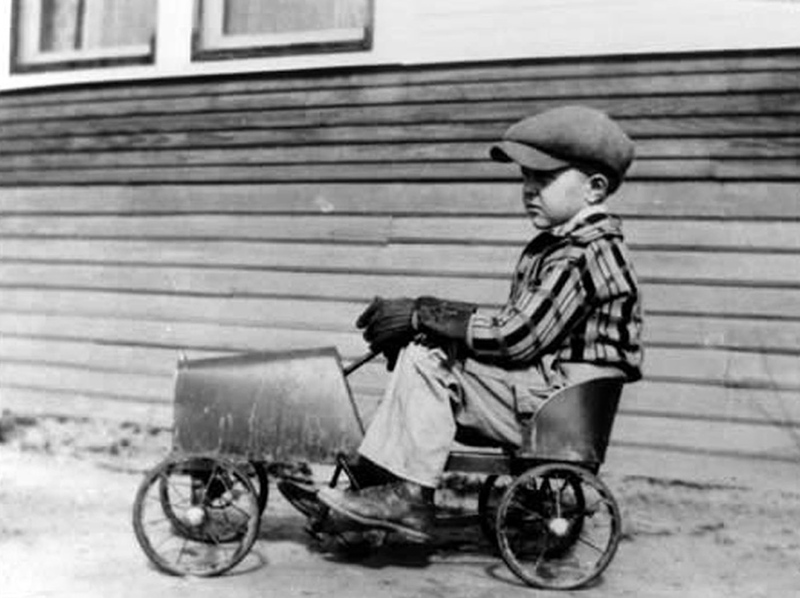 Besides narrating a 50th anniversary documentary on The Blue Angels, Travolta also wrote, “Propeller One-Way Night Coach: A Fable for All Ages,” about an eight-year-old boy who turns his dearest dream into reality when he flies cross-country. Travolta, who named his son Jett, got to combine both his passions when he played an Air Force major piloting a stealth bomber in “Broken Arrow.” As he’s made his way through various roles, he’s also worked his way through various cockpits. 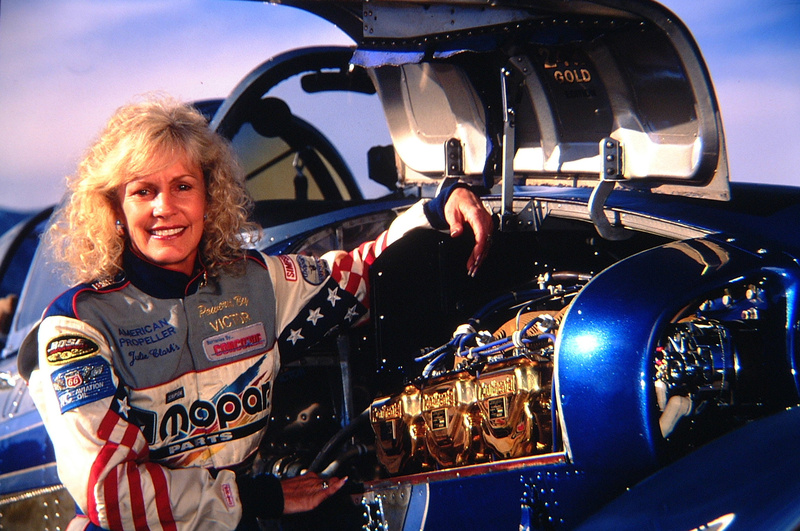 Since obtaining his pilot’s license in 1974, he’s logged close to 5,000 flying hours. He’s qualified as a captain on the Gulfstream II, Learjet 24, Hawker 1A, Citation I and II, Tebuan and Vampire Jet, and qualified as a first officer on the Boeing 707 and 747. 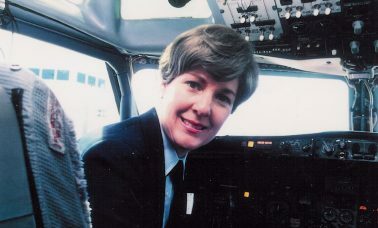 In 2002, he participated in the Qantas “Spirit of Friendship” tour, piloting his own Boeing 707 on a 13-city, 35,000-mile tour. He continues as ambassador-at-large for Qantas, based in Australia. When asked by Airport Journals what aviation challenges are ahead of him, Travolta, fittingly for the occasion, geared his answer to space. The answer didn’t quite satisfy panel moderator Hugh W. Harris, the former director of John F. Kennedy Space Center’s Public Affairs Office. “I didn’t hear a definitive answer to what I thought had been implied: do you want to fly in space?” he prompted. “Yes, of course! I’ve been invited and I want to,” Travolta grinned. 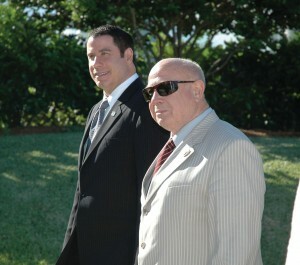 Travolta had the honor of introducing Stafford, Brand, Kubasov and Leonov, and sharing a little about each man. Maj. Gen. Alexei Leonov was a pilot in East Germany before being selected as one of the first 20 Soviet cosmonauts, in 1959. He became the first man to perform a space walk on March 16, 1965, on the Voskhod 2 mission. Initially scheduled to be part of the Salyut 1 space station mission (onboard Soyuz 11), Leonov was grounded from the mission when it was believed he had tuberculosis. His copilot, Valery Kubasov, was also grounded. The disappointment would proove lucky for them; an air valve on the craft failed and the two cosmonauts that took their place died on the way back to earth. Both Leonov and Kubasov were reassigned to the Apollo-Soyuz Test Project. Leonov commanded the Soviet side of the mission (Soyuz 19). He served as chief cosmonaut from 1976 until 1982, when he became deputy director of the Yuri Gagarin Cosmonaut Training Center. He retired in 1991. He currently chairs an investment corporation in Moscow, and is an accomplished artist. After being selected as a cosmonaut in 1966, Valery Kubasov spent more than 19 days in space aboard three space flights. His first flight was Soyuz 6. After serving as an engineer for Soyuz 19 (ASTP), Kubasov commanded Soyuz 36 to the Salyut 6 station. He also helped develop the Mir Space Station Program. He retired from the Soviet space program in 1993. Lt. Gen. Tom Stafford (USAF, ret.) was a member of the 54th Flight Interceptor Squadron, and later the 496th Flight Interceptor Squadron, where he flew F-86Ds, and performed the duties of pilot, flight leader and flight test maintenance. 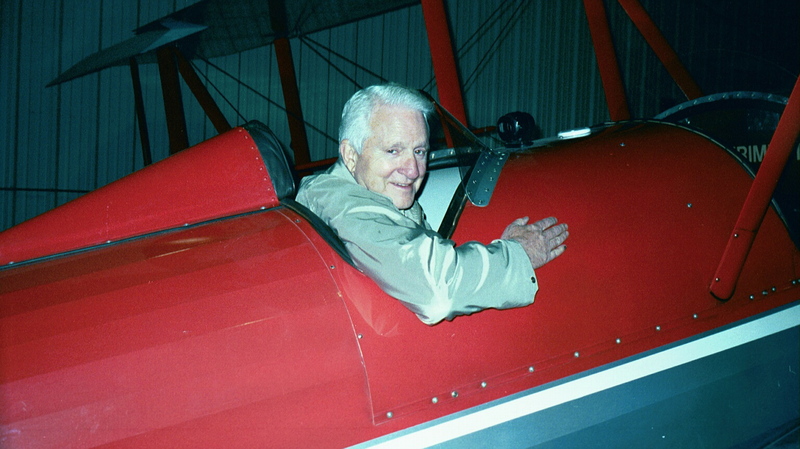 He was also an instructor and contributed to writing textbook and flight test manuals for instruction. In 1962, Stafford became one of the second group of astronauts selected by NASA to work on the Gemini and Apollo missions. His first space mission was in 1965 as a pilot for the Gemini 6 mission, which was the first space rendezvous mission. In 1966, he commanded Gemini 9, testing different rendezvous techniques that would be used in the Apollo missions. After commanding Apollo 10, a dress rehearsal for the first moon landing, in 1969, Stafford was selected to be head of the astronaut group, making assignments to the Apollo and Skylab missions. His fourth space flight was the Apollo-Soyuz Test Project. Promoted to lieutenant general in May 1978, Stafford has been on several task forces and committees appointed by Presidents George H.W. Bush and Bill Clinton concerning the future of space flight. 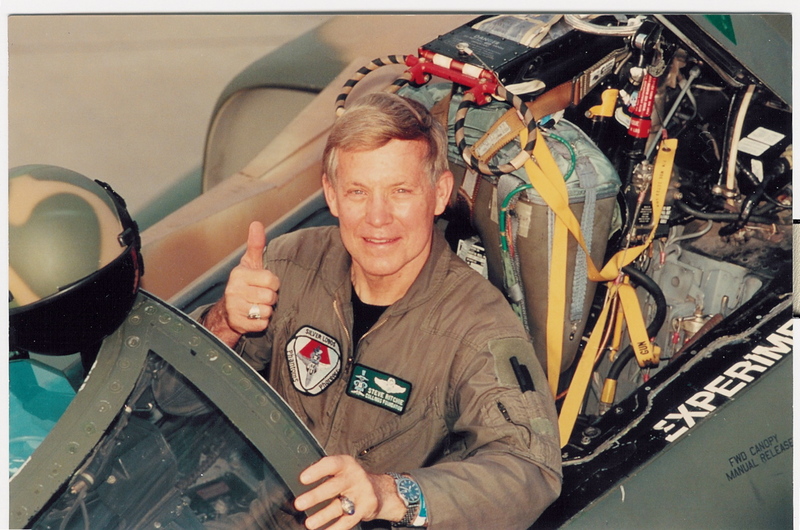 A commissioned officer and naval aviator in the Marine Corps, Vance D. Brand’s military assignments included a 15-month tour in Japan as a jet fighter pilot. Following release from active duty, he continued in the Marine Corps Reserve and Air National Guard jet fighter squadrons until 1964. Selected by NASA to be an astronaut in 1966, he served on several Apollo and Skylab backup crews. His first mission was the historic Apollo-Soyuz Test Project. Later, he commanded three space shuttle missions (Columbia STS-5, Challenger STS 41-B and Columbia STS-35). In 1982, Brand commanded the first space shuttle mission, and in 1992, he became chief of plans at the National Aerospace Plane Joint Program Office in Dayton, Ohio. He’s currently the deputy director for aerospace projects at the Dryden Flight Research Center in California. 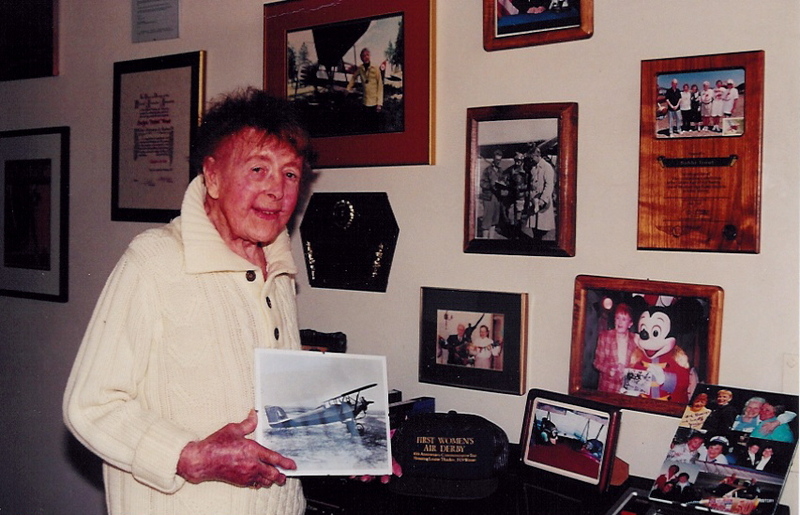 During World War II, Donald “Deke” Slayton flew with the 340th and 319th Bombardment Groups on a B25. After graduating from the University of Minnesota, he worked with Boeing and then was called back to the Air Force. He worked at various stations until 1959, when he was selected to be one of the original seven Mercury Astronauts. Slayton was originally slated to fly the Mercury Atlas-7 mission, but was grounded from flight due to a heart condition. In September 1962, he assumed the role of coordinator of astronaut activities and in November of the following year, he resigned from the Air Force to become director of flight crew operations. 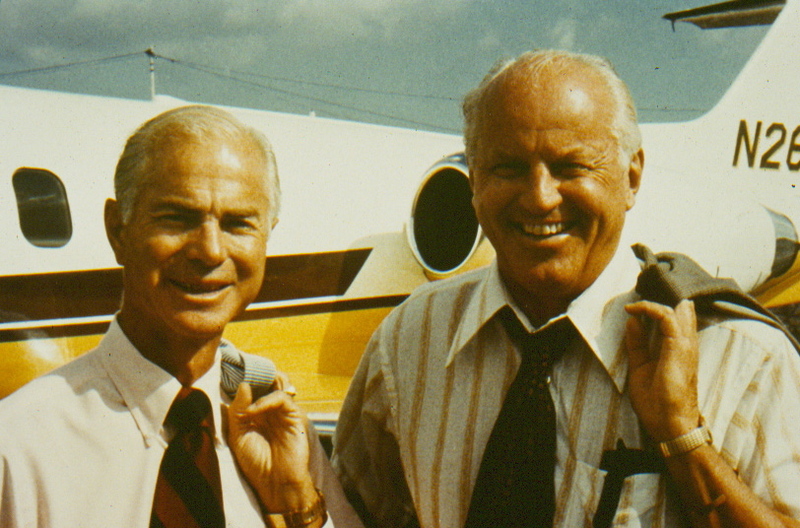 After being grounded for more than 10 years, Slayton was approved for flight in 1972. His only flight was the Apollo-Soyuz Test Project. As the Apollo docking module pilot, he was tasked with maneuvering the Apollo capsule to retrieve the docking module from the Saturn 1-B’s third stage and to dock with the Soyuz spacecraft. Following that mission, he served in other NASA administrative roles until he retired in 1982. 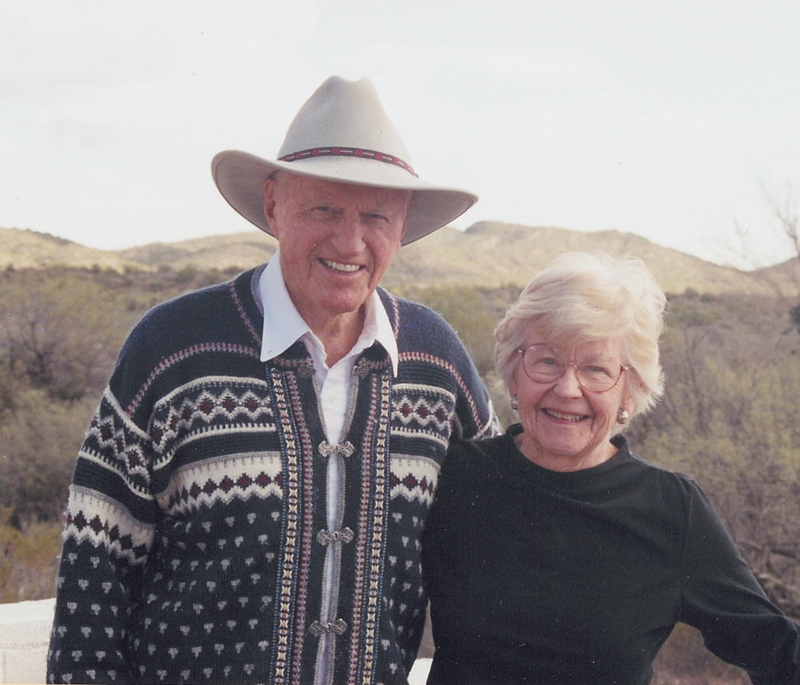 Bobbie Slayton, Deke Slayton’s widow, represented him at the gala. All the men expressed how surprisingly easy it was when they began working together over three decades ago. Although Stafford said the four men are “like brothers today,” he pointed out that when the Apollo Soyuz Test Project took place, the Soviet Union and the United States had between 8,000 and 10,000 strategic nuclear weapons pointed at each other. Brand doesn’t recall any problems when the astronauts and cosmonauts began working together. Harris commented that discussions to initiate the joint Apollo Soyuz Test Project actually started 35 years ago. “It doesn’t seem like 30 years has gone by since the United States first met up with the Soviets in space, and yet the Apollo Soyuz mission started a cooperative program that now has taken the form of the International Space Station,” he said. The panel stressed the importance of continuing to make sure that students seeking technical careers are able to get that education. “We have to have educated people…that know mathematics and science,” Brand said. “It opens up great opportunities. L to R: Vance Brand, John Travolta, Major General Alexei Leonov, Valery Kubasov and General Tom Stafford stroll near the Rocket Garden at the Kennedy Space Center Visitor Complex. Brand added that the generations that are in school now include people that possibly will someday walk on the moon. Stafford thanked Travolta for taking the time to participate, stressing the importance of the Astronaut Scholarship Foundation, which encourages young people to go into the fields of science and technology (engineering), which will ensure that America remains a technological leader. Established in 1984, the nonprofit organization has awarded more than $2 million in scholarships to 196 students. Col. Al Worden, Astronaut Scholarship Foundation chairman, introduced Travolta to the hundreds gathered for the evening’s dinner and presentation. 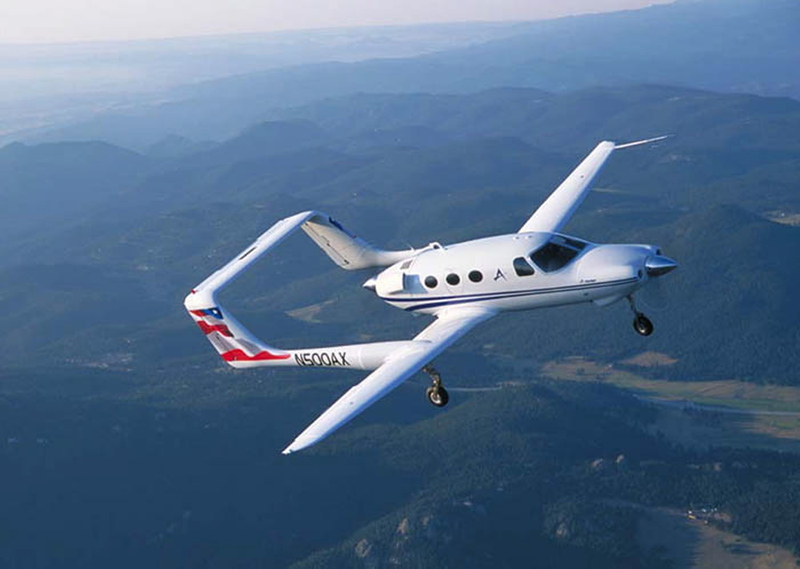 “This guy is so into flying that he grew a set of wings,” Worden said, but added that he flew in that day in a Gulfstream. Worden spoke briefly, giving his predictions for the future. “The Apollo Soyuz Test Project was a start of a cooperative program that has now taken the form of the International Space Station, which will certainly continue with the exploration of Mars sometime in the future,” Worden said. 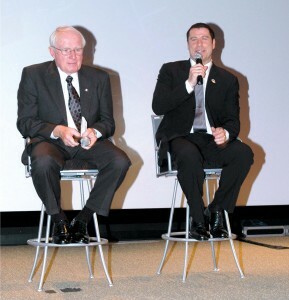 The evening included a speech by astronaut scholar Joe Cooper, who received his bachelor’s in engineering physics while attending Syracuse University. He received a scholarship from the Astronaut Scholarship Foundation for his graduate work, which led him to earn a master’s in aerospace engineering and specifically helicopter rotor dynamics. He’s now nearing completion of a PhD in mechanical and aerospace engineering. Travolta said he was so inspired by the speech that he wanted to donate $10,000. “Do I believe in the space program? Unequivocally, yes,” Travolta said. Then, Travolta took the audience back to 1970, injecting humor into his telling of the history of the Apollo Soyuz Test Project. Travolta said the trepidation on the part of the Gilruth entourage was quickly dispelled upon arrival at the Moscow Airport. But there were several years of preparation yet to be done. One thing that needed to be overcome was a language barrier. On the third orbit, the Soyuz crew made contact with Mission Control in Houston, putting into operation the joint communication system. On orbit number five, the Soyuz crew made the first of two maneuvers to place Soyuz 19 into a circular docking orbit. Just over two hours from liftoff, the Apollo crew separated from the Saturn, turned around and maneuvered to dock with and extract the docking module, on July 16. The Soyuz 19 crew conducted a burn to place their spacecraft into the final docking position. “What followed was a series of rendezvous maneuvers by the Apollo, leading to the successful rendezvous docking of the Soyuz spacecraft,” Travolta said. “Tom Stafford made voice contact in Russian with Soyuz, and the Russian crew replied in English. “Each crew spoke in the other’s language throughout the mission. To enumerate all of the activities shared by both crews while in orbit would take much too much time, and we frankly probably wouldn’t understand it. But suffice it to say, the crew exchanged numerous visits, ran tests on the docking systems and conducted extensive experiments. 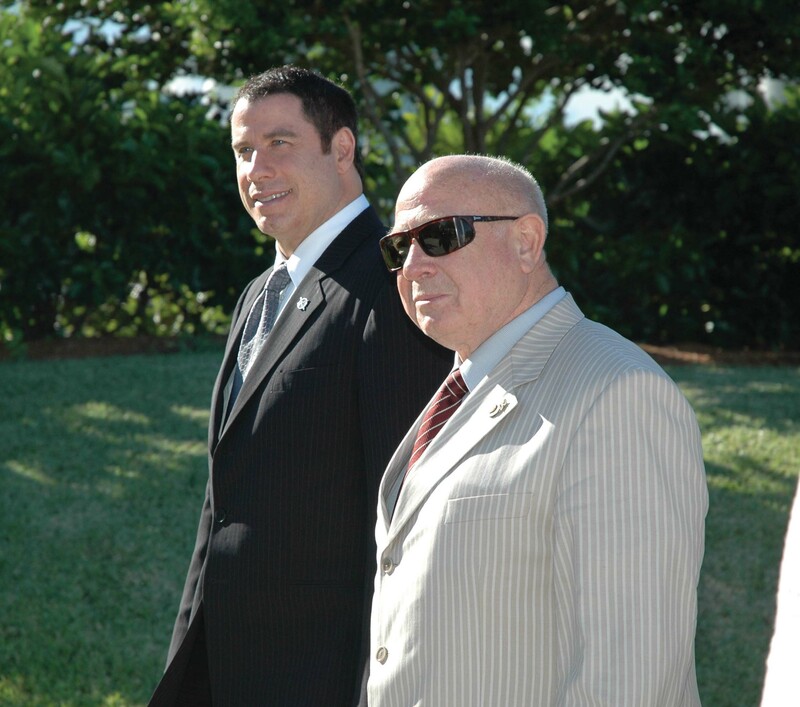 Vance Brand listens as John Travolta answers a question from Airport Journals about future challenges. He said he’s been invited to be part of various programs that will take place in the next 10 or 15 years and is excited about the possibilities. On July 21, Leonov and Kubasov started the maneuvers that would return them safely to Earth. Apollo remained in orbit, conducting experiments and observations. When commenting on the uniqueness of the anniversary event, Travolta referred back to Stafford’s reflection on the situation between the U.S. and the Soviet Union just prior to the historic Apollo Soyuz Test Project. “This is a wonderful celebration tonight to support the students of this subject matter, at a time when, like what General Stafford was talking about earlier, ‘the weapons of each country were facing each other,'” Travolta said. “With all the wrongdoings that are going on, imagine, something as amazing as ‘this’ happens. We rarely get to celebrate events like this.